This CIPT1 Call Manger training course is part of the Cisco CCNP Voice Certification path. The pre-requiste for this course is passing the CVOICE Certification Exam. These tutorials can also be used by Network Administrators who need training for the Cisco Call Manager software or the Unified Communication Manager. If a network administrator has little or no experience with VOIP, it is recommended that the CVOICE course should be completed first as a pre-requisite to the CIPT1. We offer Call Manager and Unified Communication Manager training for version 4,5,6 and 8 in the following formats: Live classes, online live classes and self-paced courses online or CBT CDs. Call us for further details. Familiarity with the role that CUCM ( Cisco Unified Communications Manager) plays in a converged network from a system, software, and hardware perspective is necessary to successfully install and configure CUCM. It is important that the Cisco Unified Communications network provides a high availability at or above what a traditional voice network provides. It is vital to understand the deployment and redundancy options of CUCM and to follow the recommended design and deployment practices. Our trainng course for CIPT1 introduces the CUCM solution and describes the role, architecture, characteristics, hardware and software requirements, and the licensing model of CUCM. 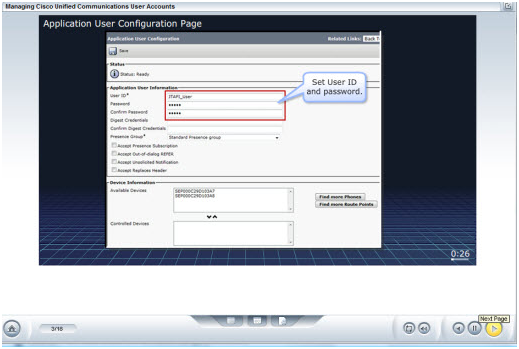 The available deployment models for using CUCM in a Cisco Unified Communications solution is also explored.